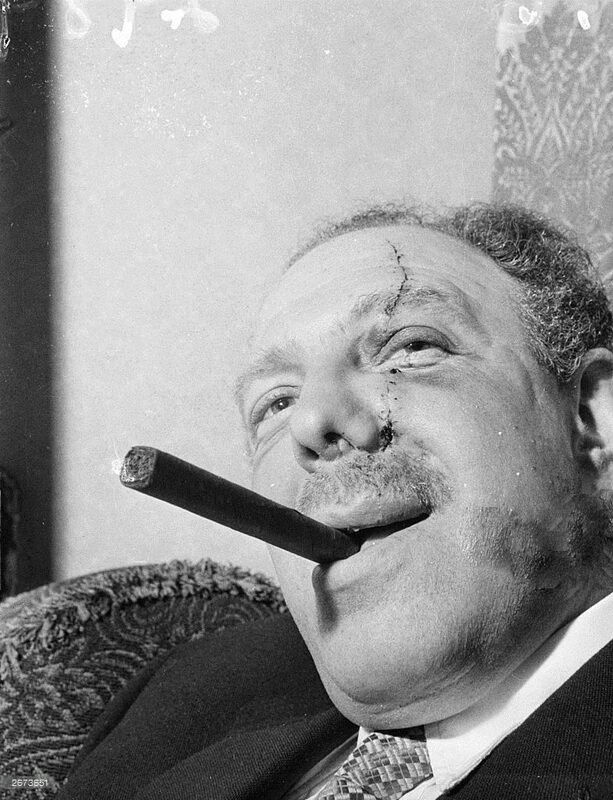 Jack “Spot” Corner and Billy Hill — self-styled Boss of Britain’s Underworld — came to prominence after the Second World War. Billy Hill was born on 8 December 1911. In 1926 he received two years’ probation for breaking into a tobacconist. The following year he was sent to borstal for three years after burgling a house. Escaping on 18 September 1929, he broke into another house and attacked a maid. He was given nine months’ hard labour and 12 strokes of the birch. By July 1947, when he replaced the fading Bill Black Mob, he was 36 and had spent 17 years behind bars. He told his gang not to carry guns and to use as little violence as possible. On 21 May 1952 his gang committed the Great Mail Bag Robbery. They stole £287,000. One thousand police were assigned to catch the crooks. On 21 September 1954 he was behind the theft of £45,000 in gold bullion. On 16 June 1955 he threw a party at Gennaro’s Restaurant, Dean Street in Soho to mark the publication of his autobiography. The previous year Hill had been overseas and an interloper had tried to muscle in on his turf. Jack Spot was born on 12 April 1912, the son of Polish immigrants. By the age of 16, he was calling himself King of Aldgate and went to work for a bookmaker. In 1936 he took part in the anti-fascist Battle of Cable Street. In 1937 he was sent to Wormwood Scrubs for GBH (grievous bodily harm). When Hill returned he decided to regain his throne. On 11 August 1955 there was a vicious knife fight in Frith Street, Soho, between Spot and Hill’s friend Italian Albert Dimes. Spot chased Dimes into the Continental Fruit Store, slashing him with a knife. In the struggle the knife changed hands and Spot was cut. With both men bleeding heavily, Dimes escaped in a taxi but Spot collapsed in a barber’s. Both men ended up in hospital and both were arrested. They were tried at the Old Bailey on 19 September 1955. It was a stalemate and the judge ordered the jury to find both men not guilty. At a second trial both men were acquitted; Spot mainly on the evidence of Reverend Basil Andrews, 88. It was later revealed that the clergyman had been a guest at the home of Jack and his wife Rita. On 6 October 1955 before they could be arrested for perverting the course of justice, they fled to Ireland. On 21 October Rita was arrested in Dublin and extradited to England where she was tried on 2 November. Found guilty, she was fined £50. On 2 May 1956 the couple was attacked as they walked home. Rita identified Billy Hill as the ringleader of the attackers. Two of the men — Mad Franlde Fraser and Robert Warren —were arrested and tried on 15 June 1956. Both were found guilty and they were sentenced to seven years. On 16 October 1956 three more of the men were jailed. Spot and Hill began to fade from the scene but their legacy lived on in two young men who at one time had worked for them both — Reginald and Ronald Kray (search the article). Jack Spot died on 12 March 1995, a forgotten man. He once said, “I made Billy Hill. Then he got over the top on me. I should have shot Billy Hill.” Billy Hill died on 1 January 1984. Albert Dimes died aged 57 in November 1971 of cancer.